Although he’s most famous for writing books about chocolate factories, giant peaches and Oompa-Loompas, Roald Dahl also published a couple of memoirs. While visiting my family in Uruguay a few months ago, I read Going Solo, Dahl’s account of his experiences as a fighter pilot in World War II. I enjoyed the book, and thus it was with excitement that I snatched up its prequel, Boy: Tales of Childhood, at a local yard sale. Are these tales of childhood worth hearing, or is Dahl a dull read? Roald Dahl puts off Boy to a hopeful start: “An autobiography is a book a person writes about his own life and it is usually full of all sorts of boring details. This is not an autobiography.” The book is, in fact, a collection of anecdotes from Dahl’s childhood. Important details are included to establish context. The reader is taken from before Dahl’s birth all the way to his graduation from school. Some of the anecdotes are interesting, but I was mostly disappointed. While Going Solo gives readers Dahl’s vivid recollections of African jungles and vicious battles, Boy consists mostly of plain stories that might have happened to anyone. It’s not a bad memoir, but it’s not a particularly gripping one either. Nevertheless, the book was not without its surprises. As he tells stories about his childhood, Dahl occasionally pauses to address deeper issues. After writing about his headmaster’s skill for corporal punishment or his own experiences as a businessman, he sidetracks suddenly into simple, powerful accounts of his disillusionment with religion or the difficulties of writing creatively. These unexpected reflections give weight and depth to an otherwise unexceptional book. I would probably have found the book more interesting had Dahl made more effort to explain how his experiences shaped his writing. He makes only a few connections between his life and his books, and so I was left with hardly anything to tie the eponymous Boy of Dahl’s memoir to the author whose books I enjoyed as a child. 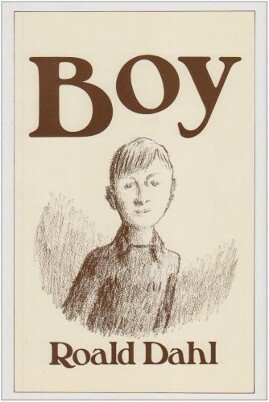 I recommend Boy: Tales of Childhood to anyone who enjoys memoirs or the books of Roald Dahl, but not to the average reader. Going Solo is a more engaging read. Africa and World War II are much more interesting than boarding schools and candy shops. Better yet, read one of Dahl’s books for children. He’s remembered for those books, after all—not for his memoirs! This entry was posted in Literature and tagged book review by Adam Stück. Bookmark the permalink.